Here is the final cover for Memoirs of a Spectrum Addict by Oliver Frey (original CRASH Magazine artist). 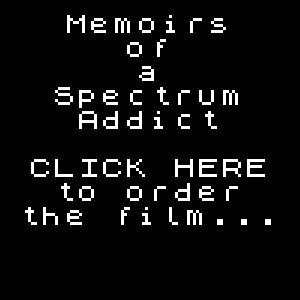 Speccy Addict is a feature doc about the ZX Spectrum – and it’s now complete. Digital release is 02.07.17, with DVD and BluRay following shortly. If you order the signed BluRay you can still get your name in the film credits! – TODAY is the LAST DAY you can get your name in the film credits by ordering the signed BluRay film. Thank you.